Ten trailblazing girls with a passion for technology are announced as the inaugural winners in the nationwide ‘InspiringJuniors UK’ competition. A recent government report found that only 1 in 10 STEM apprentices are female. A key barrier for girls is the lack of role models. These girls are incredible role models that are a true inspiration for others. InspiringJuniors UK is an initiative of InspiringFifty and Project prep. InspiringJuniors UK judges are Dr Anne-Marie Imafidion OBE, founder of Stemettes (a not-for-profit that has supported over 38,500 young people to create a more diverse tech community); and Sarah Wood, co-founder of video ad tech company Unruly, named as the UK’s #2 Fastest Growing Tech Company and Janneke Niessen, tech entrepreneur and initiator of InspiringFifty and Project Prep. 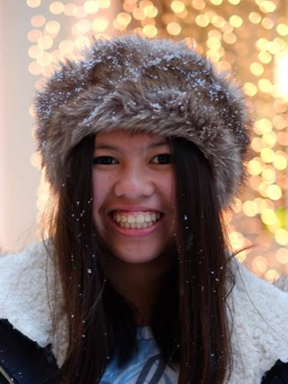 Joana is a 16 year old double-scholar student at Oxford High School GDST, with a passion for STEM. 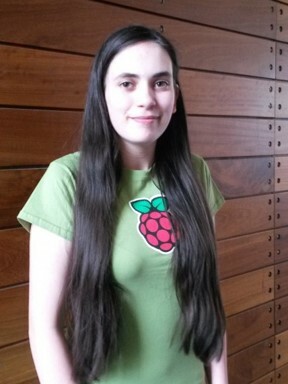 She’s founded 3 award-winning companies, runs a free code club with Barclays, and gives talks. Her proudest achievements include presenting to HRH Princess Anne with WISE, Winning the Women of the Future Awards 2017 (Young Star Category), and being a finalist in the Everywoman FDM Women in Technology Awards 2016 (Rising Star Category). She’s had the privilege of attending LaunchX and Outbox Incubator, and work experience at IBM. Most importantly, she’s a huge advocate for feminism and girls in STEM. Nationally, she’s been a part of panel events at GirlGuiding, Cambridge University and Facebook, as well as championing STEM locally through workshops at underprivileged schools. She’s been invited to be fully funded by the American Embassy to participate in the Women2Women leadership program, as one of two outstanding young women. Most recently, she was a winner in the WeAreTheCity Rising Star Awards in the Entrepreneur category. Her social enterprise, Zest, aims to reverse taught prejudice against social minorities through a series of handwritten and illustrated Children’s picture books, which have received endorsements from the likes of Peter Tatchell and Miriam Margolyes OBE. Yasmin is a 17 year old sixth former studying for A Levels in Mathematics, Further Mathematics, Physics, and Computing. Her achievements have already seen her invited to speak at the University of Cambridge’s Institute of Astronomy as well as the Computer Laboratory. Yasmin also very much enjoyed undertaking work experience with Raspberry Pi. Furthermore, she was named European Digital Girl of the Year in 2015 as well as being a winner of the 'One to Watch' Award at the Everywoman FDM Women in Technology Awards in 2016. In her remaining spare time, Yasmin volunteers on a weekly basis to mentor younger students, as well as running workshops and giving workshops at events such as BETT and Mozfest. She is described as a role model for her innovative teaching methods – helping younger pupils to learn the basics of programming languages such as ‘Python’ without them realising they are learning. This led to the uptake of Computer Science at her school increasing by 70%. She aspires to study Computer Science at Cambridge University, potentially specialising in Cybersecurity or Artificial Intelligence. Sara Conejo Cervantes, 1, born in London of spanish origins is an enthusiast in the advancement of technology. Having graduated from Coloma Convent Girls' School with GCSEs in the core subjects, Computer Science and Economics, Sara is currently studying for her A Levels in Maths, Further Maths, Physics and Computer Science, continuing on from GCSE, at King's College London Mathematics School. With two years of experience in coding, Sara regularly takes part in Hackathons and has she won a number of them. She recently took part in Alexa Bootcamp where she led her team to develop and publish an Alexa skill called Optimus Maths. She did a two-week placement at Codex, a city-based data analytics firm where she wrote a piece of code used now in the platform. As well as this, Sara has accreditations from the Royal Institution in both Maths and Engineering. She has taken part in many MUN conferences and debates in and out of school. Her background of coding in Python and other languages has helped her to complete the task of building an AI with the ability to play smartphone games. 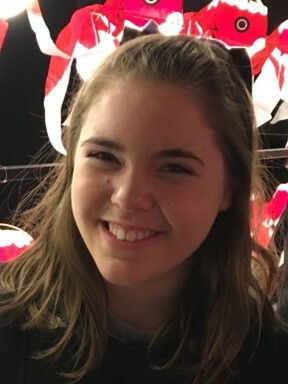 Despite her strong background in Computer Science, Sara is currently undecided on what her path will be post-KCLMS, however she has indicated an interest in possibly studying Maths and Computer Science at university. She is currently part of Artificial Intelligence Task Force at Teens in AI and has recently written her response to Lord Clement Jones AI Report. Avye loves playing tag Rugby, training with her local swimming squad and making stuff. She started coding at 7. Most Saturdays she either attends a code group or is busy leading a micro:bit workshop for CoderDojo. In November 2017 she won the ‘best working device’ for the micro:bit 1st Birthday Challenge and her robot was exhibited at the Bett Show January 2018. 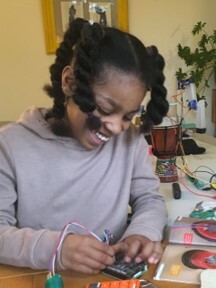 In February, she was selected to be part of 12 young coders for a Young Coders Conference at the Tate Modern where they collaboratively developed and delivered workshops to the public.At the end of April she entered and won the hardware category at the Coolest Project UK with her voice command robot: Voice O’Tronik Bot. She wants to inspire more kids to get into coding, especially girls and to become an ambassador encouraging more girls involvement in tech. She has organised a “Girl Into Coding” event for July 8th 2018 for 15 girls which she financed through a crowdfunding campaign. Her aim is to continue to create opportunities like this - where girls can explore coding and physical computing in a supportive tech setting. Andrea is a 16 year old student deeply passionate about using creativity and technology to make a difference in the world. Alongside this, it is her commitment to inspire more girls towards STEM so that girls may play a bigger role in shaping the future of the industry. Andrea was born in Manila, Philippines and has since then been passionate about 3 things in her life: creativity, science and technology. She moved to London at 13 and started becoming more interested in leveraging her art skills towards science and technology projects. Spent her weekends learning Arduino, Raspberry pi, website programming, game development and most recently, voice conversations. She’s been a positive, bright force across her peers - she brought them to weekend camps & hackathons. She engages with Coder Dojo, Stemmettes and Acorn Aspirations - where she has begun the journey of learning how to leverage voice assistants to help people get more things done through machine learning and AI. She is creating her own store & website selling STEM art such as pins & prints to inspire other girls across the world. She is passionate about solving real world problems - she has begun creating an Alexa voice skill to help commuters plan their daily journey better and a chatbot that helps teens with their mental health caused by stress from school and exams . 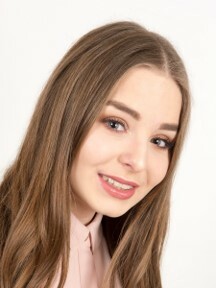 Rose Dyson is an extremely-determined 18-year-old Yorkshire young entrepreneur on a mission to conquer the lip care world with her range of natural, cruelty-free and vegan pout-pleasing products, Pura Cosmetics! Rose started her e-commerce beauty business at the age of 15 with just £25 investment. She conceptualised Pura Cosmetics based on her love of quality beauty products and her frustration when her pocket money as a teen could never stretch to their expensive prices. The brand is sold online, via a range of independent department stores, gift shops and salons, and has been featured in nationwide beauty subscription boxes. Some of Rose's proudest achievement include being crowned UK National Young Trader of Year 2017. Also she's the youngest ever recipient of awards from Theo Paphitis and Jacqueline Gold CBE. She is also the youngest ever person on the Yorkshire Business Insider's 42 under 42 top young entrepreneur list and was even scouted by the BBC for hit TV show Dragons' Den when she was 17 only to be sadly rejected for being a year too young! Rose is also very passionate about inspiring the next generation of young entrepreneurs and is an ambassador for Kidzania London and the Primary School Enterprise Challenge. Lowena is interested in all things Tech and STEM. At 13 she entered and won a national Astro Pi competition, where her code was used to run a modified Raspberry Pi computer as an MP3 player on the International Space Station. The use of gyros to change tracks was successfully tested in zero gravity by Major Tim Peake, who she later got to meet at the Principia Space Conference. She reached the final reporting stage in the European Astro Pi competition (2018) where her code instructed the Astro Pi to take photos of the Earth from the Space Station, to examine algal blooms. She attended the 2016 Summer Accelerator programme with Acorn Aspirations where she worked with a team developing an idea for an App to locate mobile phone charging points and has returned several times as both a hacker and a mentor to other Acorn events, including the UN Girls in ICT Day.She also has an interest in Cybersecurity issues, which led her to take part in the Cyber First Girls Competition and then to attend the Cyber First Defenders Course sponsored by the National Cyber Security Centre. She has recently won a scholarship to attend an Engineering and Robotics Summer School at Kings College, London and has been awarded an Arkwright Engineering Scholarship based upon her work with the AstroPi. In her spare time, she learns Japanese, mentors with Raspberry Pi locally, writes a blog and is a volunteer for the Young Scientist Journal. Lydia founded herfirst startup called FitFlash aged 15 and funding that through savings. FitFlash was a fitness tracking and social platform and ended up achieving a small userbase of thousands of users from over 30 different countries. 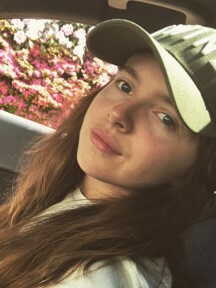 She managed to grow a brand ambassador team of 140 micro influencers for free who were fitness orientated individuals who in total had a social following of over 1.1 million Instagram followers. She has previously been through Entrepreneurial Spark powered by NatWest, SparkUp Liverpool Chambers of Commerce and Ignite Sheffield accelerators. After she developed a platform called Trooops that matched users around the world through hashtags and their social DNA she was granted a scholarship for BOS conference over in Boston, USA back in September 2017. She recently founded an app called HallHang, which is a GPS app for events being hosted by students within their university halls of residence and this is soon to expand to further cities around the UK. She is currently employed as a Product Specialist at Amplify Life AI to help fund HallHang with her salary and take it to the next stage. She is currently heavily involved in developing for mobile, AI and Amazon Alexa, she runs a podcast called thelydperiod that covers product, growth hacking, UX, AI, mobile and voice talk. 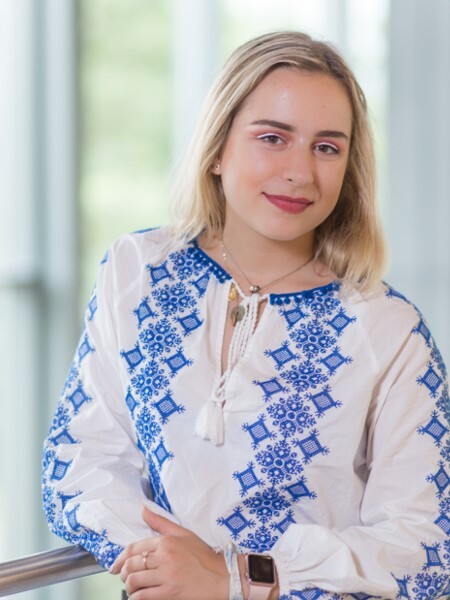 Kari Lawler was accepted onto the Entrepreneurs for the Future (e4f) incubator at just 14 years old, where she became the youngest ever start-up, entrepreneur and AI consultant on the Innovation Birmingham campus. Through being academically very able, Kari left mainstream education early to pursue her intense interest in Artificial Intelligence. Now, at 15 years old and with the guidance and mentorship from Barclays Eagle Labs she is utilising this knowledge to help start-ups and SMEs understand and deploy AI within their businesses, through AI constancy. 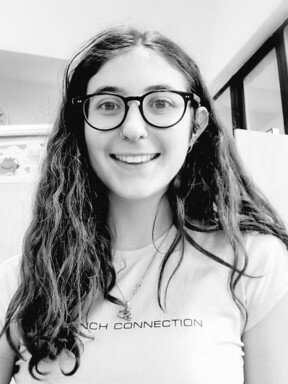 More recently, Kari won a coveted prize in the UK Space Agency SatelLife challenge 2018, for her AI proposal. Additionally, she has become an in-demand event speaker, championing young entrepreneurship and is in the process of setting up a not-for-profit AI Youth Programme, with the sole aim to encourage more 13 to 25-year-olds to explore and understand the world of AI. Nikki Christou, is a 13-year-old vlogger whose YouTube channel ‘Nikki Lilly’ has over 210,000 subscribers. She has a very rare illness called an AVM. At the age of seven she founded the ‘The Butterfly AVM Charity’, which has raised a staggering £400,000 for AVM support, research and awareness. Nikki’s inspiring speeches have gained her admirers and accolades worldwide. She has been honoured with The Diana Award for Inspirational Fundraising 2013, The Wellchild Award for Bravery 2014 from Prince Harry, The Pride of Britain Award for Child of Courage 2016, and was featured in the CBBC programme ‘Born to Vlog’ – plus not forgetting being a proud owner of a Blue Peter badge. Nikki can also bake a cake or two – just ask Mary Berry – as she won Junior Bake-off in 2016! Sign up to receive news and exclusive updates.